Rampage Katana Women's Wedge Boot Just $16.99 Down From $79.99 At GearXS! Ships FREE! You are here: Home / Great Deals / Rampage Katana Women’s Wedge Boot Just $16.99 Down From $79.99 At GearXS! Ships FREE! 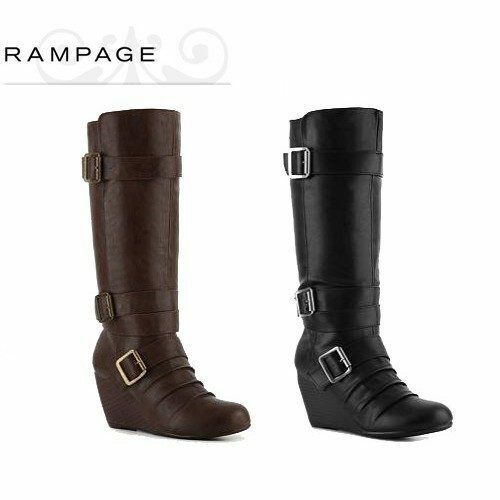 Rampage Katana Women’s Wedge Boot Just $16.99 Down From $79.99 At GearXS! Ships FREE! GearXS has these stylish Rampage Katana Women’s Wedge Boot on sale for $16.99 (Reg. $79.99) when you use promo code GXS-RED+ FREE shipping! It’s all about the details in the Rampage Katana. This wedge boot is detailed with buckles and pleating to shake up your style this season!